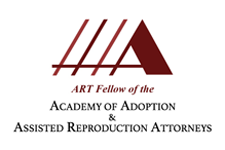 The purpose of parenting coordination is to provide a child-focused alternative dispute resolution process, whereby a parenting coordinator assists the parents in creating or implementing a parenting plan by facilitating the resolution of disputes between the parents by providing education, making recommendations, and, with the prior approval of the parents and the court, making limited decisions within the scope of the court’s order of referral. It is not therapy. It is not mediation. A session should not be reminiscent of a daytime talk show. Parenting coordination is about creating a plan to move forward, and accomplishing goals. Many issues can be addressed in resolved through parenting coordination, if the parents find a way to work together instead of continuing to fight with one another. Karen Persis is a qualified Parent Coordinator, pursuant to Section 61.125(4), Florida Statutes. Her objective is to help the parties implement and maintain a positive and productive co-parenting relationship that lasts beyond the current litigation, through a fair, but firm, approach.